container is the easiest and most cost-effective option! Do you have overstocked inventory or simply need extra space at your school, municipality, farm, or home? We can help! At Steel Tough Containers, we specialize in storage containers for every industry. We know the importance of extra space, and our convenient storage containers give you extra room for the machinery, merchandise, or whatever else you may need space for. 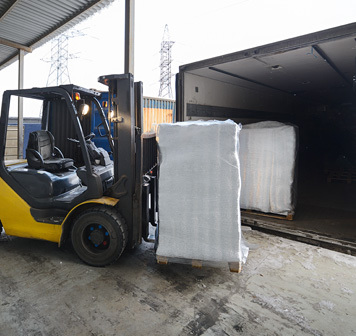 Instead of taking your items offsite to a pricy storage unit and not having access to your belongings at a moment’s notice, a commercial storage container is a great alternative. We have been providing storage spaces to both small and large businesses throughout Michigan for over 20 years and are committed to our clients’ success. 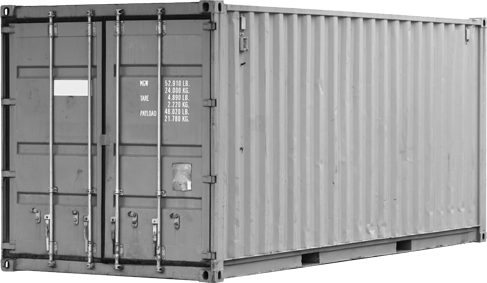 How can my business benefit from a commercial storage container? Affordability – For a great alternative to a storage unit that charges absurd monthly rates and makes you commit to contracts, a commercial storage container is a cost-effective method! Your merchandise or equipment stays just as secure, and you’re saving money. Accessibility – When you request a shipping container rental from Steel Tough Containers, our team drops it off at your exact location. This means that you simply load up the container and can use it at your own disposal, right next to your business! You can keep the containers as long as you want, and we’ll pick it up from you when you’re done. This means that you’ll never be far away from you merchandise in the event of a deficit and can store ancillary equipment close to your building for when you need it the most. Reliable Portable Storage – Storage doesn’t have to come with worry about your belongings being damaged. All of our commercial storage containers keep your items dry, as they’re water tight and weatherproof. They are equipped with locks that will keep any trespassers or animals out, meaning that only you can get to your items. No matter the size of your business, home, farm, or municipality, we have a storage container perfect for your operation’s needs! Our clients range from large industrial operations down to mom and pop shops, and we’ve been able to find the perfectly-sized commercial storage container for each. By simply getting in touch with us and letting us know your storage needs, we can recommend the perfect storage solution. Our containers are perfect for both residential and commercial moves, as well as portable storage for equipment! To request your own commercial storage container, contact the team at Steel Tough Containers today!